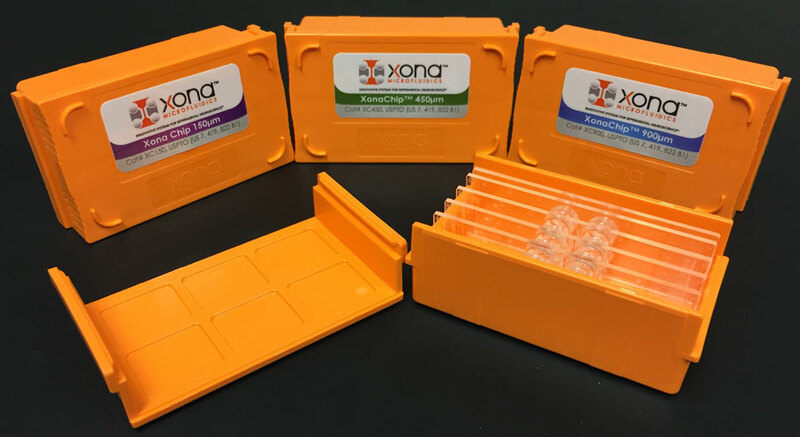 Each box of (5) XonaChips™ XC Series includes 1 (2) ml tube of XC Pre-Coat™. The New XC900 has a microgroove barrier that is 900 µm in length similar to Xona’s SND900 Silicone Chip. The XC900 is pre-assembled and pre-bonded. 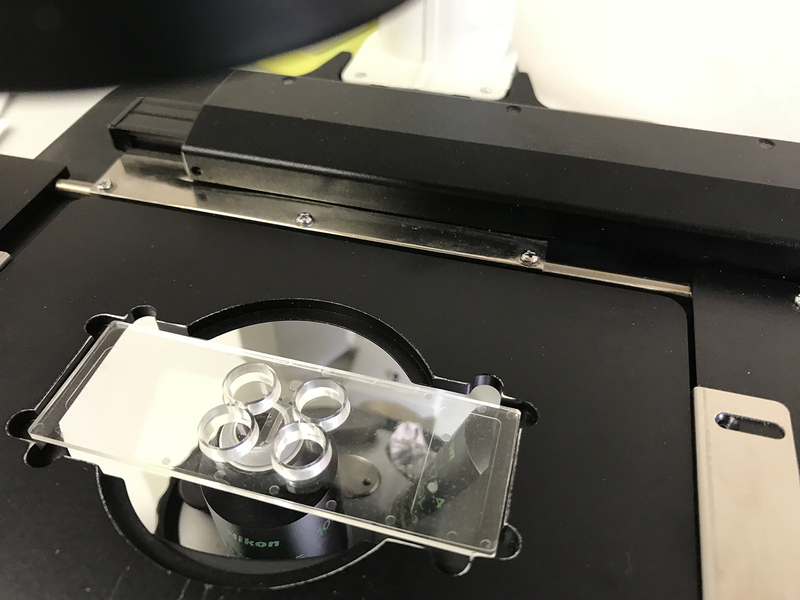 The 900 µm neuron device, with its long microgroove barrier, is suitable for researchers who would like to perform long term experiments while ensuring axonal isolation. In some cultures, after two weeks of growth dendrites may cross the 450 µm barrier thereby necessitating the use of the 900 µm device. It is also suitable for certain neuronal cultures which grow long processes. Researchers who also wish to make sure they are isolating 100% axons only in the distal chamber may also find the 900 µm device useful. The 900 µm device also offers the benefits of fluidic isolation and culture organization for transport studies.